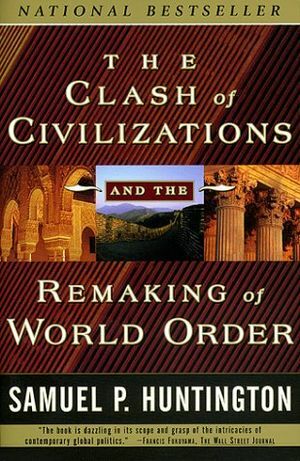 The Clash of Civilizations and the Remaking of World Order is a book written by Harvard professor Samuel P. Huntington in which he states that it is his belief that the conflict of the Post Cold War era is going to be derived from religious/cultural differences. Huntington has been undone by paradigm-amour." Although partly a joke - a jab that the book can be so easily dismissed as with a poem - the poem encapsulates most of the criticisms of Huntington's work. The Clash of Civilizations?, Samuel P. Huntington, Foreign Affairs, Summer 1993. This page was last modified on 11 July 2016, at 21:10.